Today we have isolated Papaver somniferum’s active chemicals. We have also used them as precursors and inspiration for our own new painkillers. Many of our experiments tried to take the addictive sting out of opium. To date we’ve had little luck with that; despite the efforts of our best chemical minds, Poppy still demands her bargain. The substances we have brewed with her and in her honor have as many uses and dangers as the mother alkaloids that first attracted humanity’s attention. 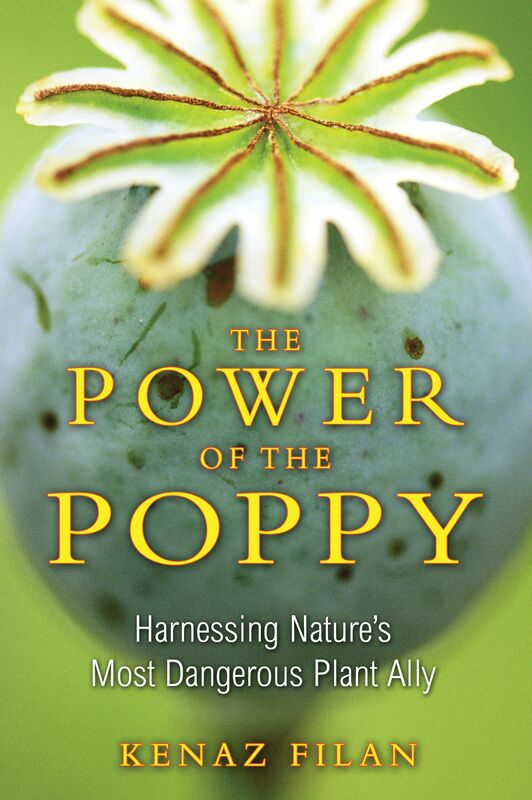 We have found no real substitute for the painkilling properties of morphine or other poppy-derived alkaloids, no chemical that gives us the poppy’s benefits without extracting its price of addiction. Even as we go to war with Poppy, we are forced to do business with her. In 1960 Paul Janssen, a Belgian biochemist and founder of Janssen Pharmaceutical, first synthesized fentanyl. He expected the compound to show analgesic properties similar to other synthetic opioids like meperidine or methadone. What he got was something that was far more potent. Animal tests conducted by the Janssen Pharmaceutical research group showed that the analgesic potency of fentanyl was 470 times that of morphine. Fentanyl quickly became a favorite among anesthesiologists. It is far less likely to cause histamine reactions in patients and can cause a deep, complete sedation with a comparatively small dose. Then, in 1990, Janssen introduced a new delivery system--the Duragesic patch. The Duragesic patch allows for a controlled dose of fentanyl. The fentanyl is mixed in a gel/hydrocellulose matrix then delivered at a consistent rate through the skin through a sophisticated membrane. The patch could provide relief for patients who were unable to swallow pills and could be scaled up to meet the demands of even the most severely ill cancer patients. Marketed through Janssen’s primary shareholder and American partner, Johnson & Johnson, Duragesic patches became a billion dollar business, used not only to treat cancer but also for arthritis, neuropathy, and other chronic pain conditions. Fentanyl lollipops and lozenges provided quick relief for breakthrough pain: while fentanyl is largely broken down in the stomach, it is quickly and efficiently absorbed through the cheek and gum membranes. But Duragesic patches also found a ready audience among the users of street drugs. Today recreational users cut open the patches and smoke the gel or apply multiple patches; a few enthusiastic if self-destructive souls have even tried to extract the fentanyl and inject it. On December 15, 2005, forty-four-year-old Jacqueline Young died in bed at the Greenwood, Indiana, hotel where she was living. She was wearing two pain patches and had applied heating pads to accelerate the delivery of fentanyl. On March 21, 2006, police arrived at the home of Anna Layton of Shelbyville, Tennessee, to tell her about her son’s death, only to find her dead. Both mother and son had eaten and injected fentanyl from patches. Toxicology reports showed Anna Layton had nearly fifteen times the lethal dose of fentanyl in her system, and her son had nearly three times the lethal dose. In 2004, fentanyl patch abuse was found to be responsible for 115 deaths in Florida alone. Fentanyl is intended only for users who are already opiate-tolerant, typically patients who have been on pain medication for long periods of time. Those with less tolerance can easily experience fatal respiratory depression. Even those who are used to painkillers need to approach fentanyl with care. If the membrane is damaged, an excessive quantity of the drug could leak onto the skin, and combining fentanyl with other depressants like alcohol or benzodiazepines can be deadly. Fentanyl has long been popular among junkies as “China White,” heroin of legendary, sometimes lethal, potency. Many street chemists have attempted to brew their own fentanyl. While relatively complicated, the synthesis is not beyond most bright graduate students. In 1976 Barry Kidston, a young graduate student in Bethesda, Maryland, was hospitalized with symptoms of severe Parkinson’s disease. When treated with levodopa, the standard treatment for Parkinson’s, he regained some of his mobility. It was then revealed that Kidston, a chemist, had been brewing and injecting the synthetic opiate 1-methyl-4-phenyl-4-propionoxy-piperidine (MPPP) for several months. Two years later, Kidston’s psychopharmacology career ended as he died of a cocaine overdose. An autopsy revealed a substantial loss of dopamine-producing cells in the substantia nigra part of his brain, a hallmark of Parkinson’s disease. Then, in July of 1982, a forty-two-year-old named George Carillo arrived at the Santa Clara Valley Medical Center in San Jose, California. Carillo was literally frozen like a statue in a bent, twisted position. Neurologists suspected catatonic schizophrenia; psychologists were certain it was a neurological disorder. Then a neurologist in Watsonville, some thirty miles away, reported a case of two brothers in their twenties, both addicts, who showed advanced symptoms of Parkinson’s. Alerts were issued warning of a new batch of bad heroin on the streets. Ultimately seven addicts would come down with these alarming symptoms. A sample of this tainted heroin was analyzed: one of the toxicologists who examined it recalled reading about an unusual case of Parkinson’s in Psychiatry Research. William Langston, the neurologist who first treated Carillo, looked up the paper, which dealt with the Kidston case. He found that Kidston had prepared his synthesis based on a 1947 paper by Albert Ziering, a researcher at the Hoffmann-La Roche pharmaceutical company. But when he went to the Stanford University library to check The Journal of Organic Chemistry in which it had appeared, he discovered that Ziering’s paper had been cut out. It was clear now that some enterprising college chemist was cooking up MPPP and selling it as heroin. It was equally clear that he, like Kidston, had made a mistake in his recipe. Further study of MPPP revealed that if Ziering’s original synthesis was not followed exactly, a contaminant called MPTP was produced--and when injected into monkeys, MPTP triggered symptoms of Parkinson’s Disease.